I called and talked with my Therapist on Monday. *sigh* She has been reminding me that just being busy isn't really a good thing. Be busy doing things you love. When I started taking care of my parents about 3 years ago, I ended up giving up time doing things I loved because it was just too hard to get everything done in one day. Little by little I gave up my life - and would absolutely do it again if I needed to help them again! My point is, I just kinda started going through the motions of life, and not really making time to do the things that light my life up. My Therapist encouraged me to make a list of 9 items that I miss doing and then add an item that I would love to do, but never had. Brilliant. This is my list. My 9 to do + 1 to learn. I am working on making goals and time lines for these items. But honestly? I think this list is a true representation of things I truly want to do and learn. 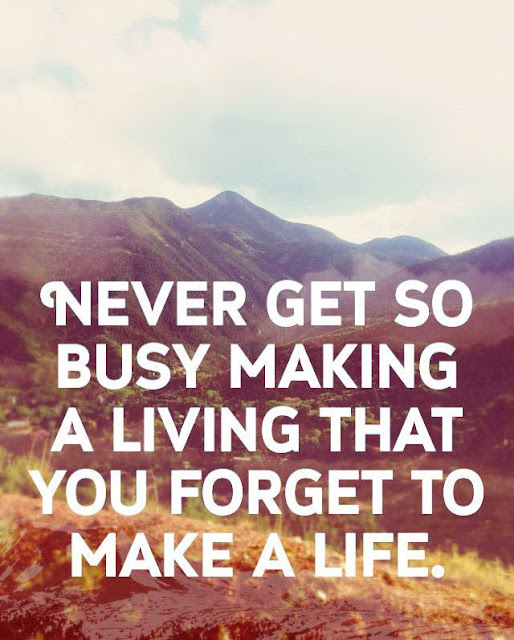 To be busy without just being busy, you know? How about you? As an adult, have you reevaluated what you are doing or not doing? Maybe its time to set a new goal and get to working towards it.